Indian Creek takes on Woodstock during their boys soccer game on Wednesday, August 24, 2016 at Indian Creek Middle School in Waterman. Woodstock won 7-1. 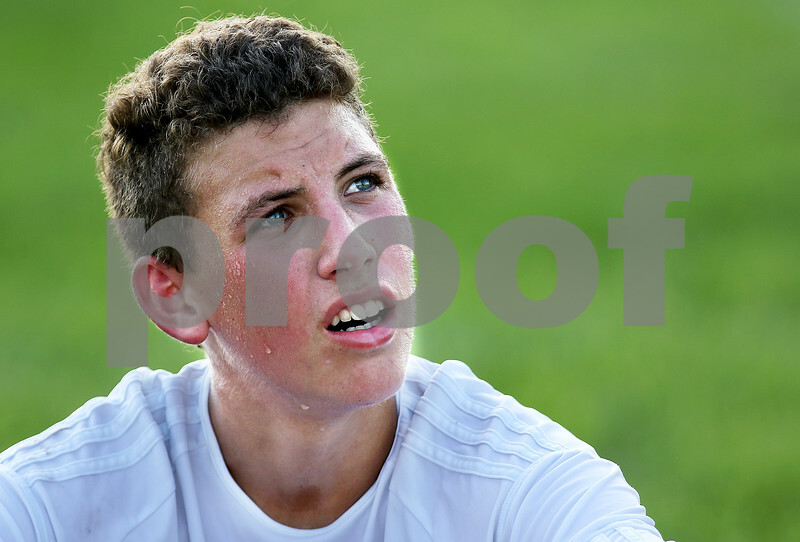 Sweat glistens off the face of Indian Creek's Collin Bakken as he listens to head coach Eric Schrader during halftime of their boys soccer game against Woodstock on Wednesday, August 24, 2016 at Indian Creek Middle School in Waterman. Woodstock won 7-1.